Tune in to Afternoon New Music this Tuesday, May 3rd at 3 pm for an exclusive in-studio interview featuring the project VOICE, led by Jason Kao Hwang. The 2.5 hour program will feature an interview with composer Jason Hwang, vocalists Deanna Relyea and Thomas Buckner, sopranino saxophone and bass clarinet player Piotr Michalowski and poets Yuko Otomo and Steve Dalachinsky. The program will also feature segments of Lifelines and Word of Our Own, the two suites comprising VOICE. Released in January, VOICE is a project focusing on bringing words into sound. 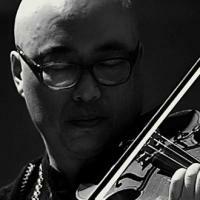 For the two ensembles on this album, violinist/composer Jason Kao Hwang chose poems that had personal resonance. Into those sonic spaces, Hwang invited musicians and vocalists who-- like poets -- hear unheard music, alive and well, but not yet shared. Throughout each poem’s sonic architecture, vocalists Deanna Relyea and Thomas Buckner were empowered to improvise and make the poems their own. Tune in for an insightful conversation about personal expression in poetry, music and performance.